A flat, triangular shape providing an eye-catching, pointed arrow surface for your logo and advertising. Select from multiple sizes or request custom sizing. 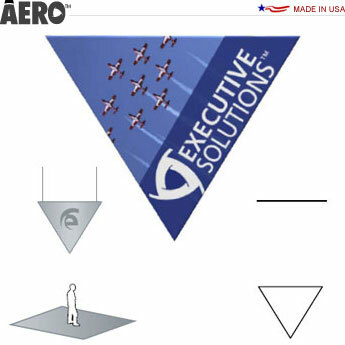 For larger exhibits the Flat Triangle can be combined with overhead 3D signs for a great multi-dimensional look.